Steeped in history and grandeur, stunning pillars and an ornate ceiling frame the Hall and provide a regal feel to your celebrations. 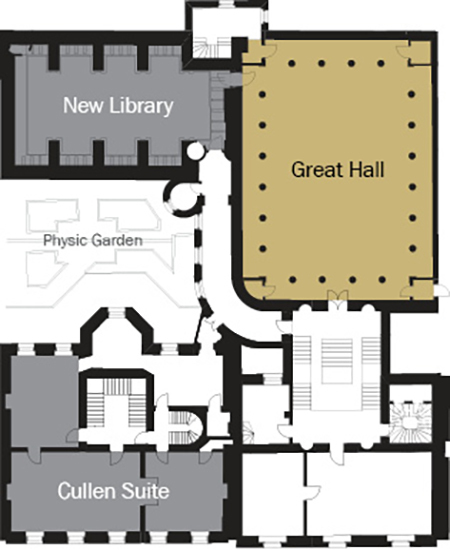 Grand pillars, rich crimson walls and impressive statues make the Great Hall a magnificent room with a lavish feel. 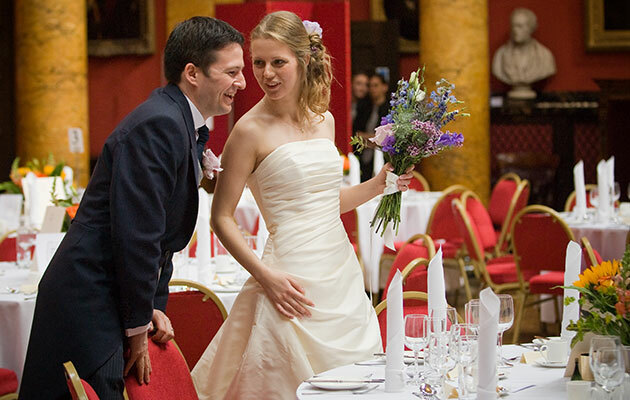 It’s perfect for a wedding breakfast or to dance and celebrate the night away. 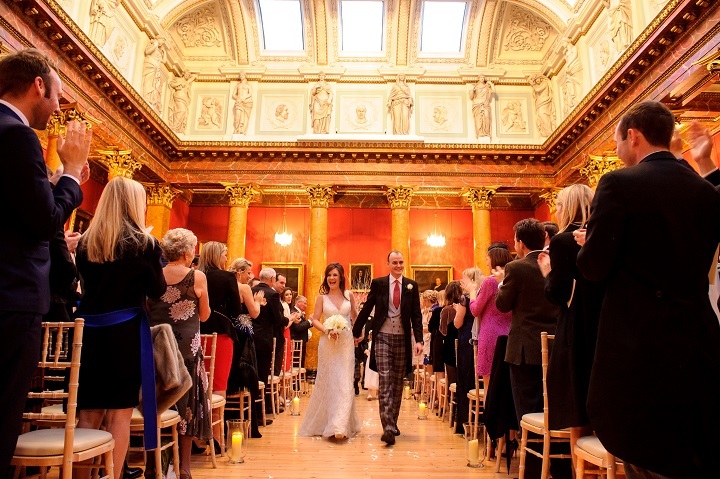 The Victorian Great Hall can accommodate ceremonies and dinner for 150 guests. You are welcome to invite 30 additional guests to join in the evening celebrations. 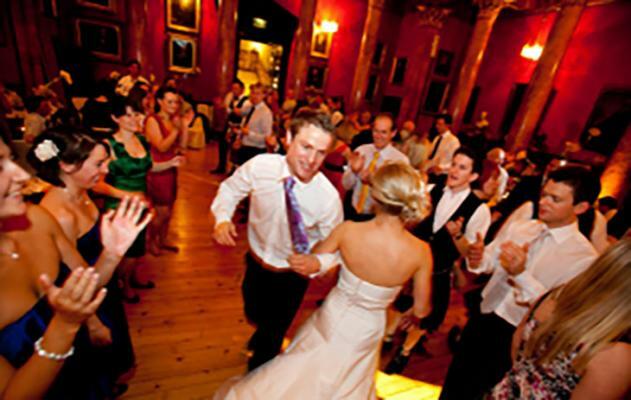 With its special sprung floor and excellent acoustics there is plenty of space for ceilidhs, and live music to dance the night away. We can accommodate a maximum of 180 guests in the evening -150 day guests plus 30 evening guests. The Great Hall was an impressive backdrop for a wonderful reception.